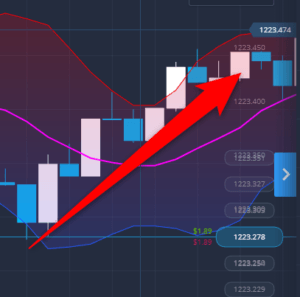 Today’s online binary options trader has an arsenal of tools and indicators that make it easier to predict asset price movements and profit from them. Many trading platforms provide these tools and indicators for free. When applied correctly, technical indicators and tools will make it easier to spot profitable trends. In turn, you will be able to enter and exit profitable trades more often. There are many different technical indicators to choose from. One of the popular and easy to use is the Bollinger band. 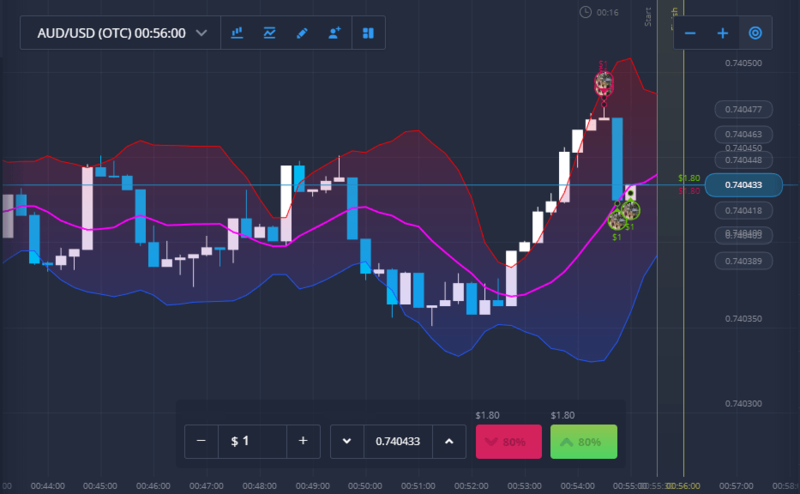 What is the Bollinger band indicator? So, when should you buy or sell when you’re using Bollinger band indicators as your guide? But how do you know exactly when to enter position? This is a trend indicator. It includes a Bollinger chart which is divided by 3 lines. These lines cover about 95% of an asset’s price movements. So you’ll rarely find the price moving above the upper line or below the lower line in the chart. However, if it does, you can easily capitalize on the price movement and make huge profits. The width between the upper and lower line is taken to be a representation of the price deviation from the base averages. That is, the average price of an asset when calculated over a certain amount of time. The upper line is called the resistance while the lower line is called the support. 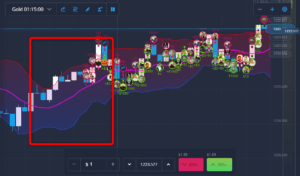 Although these lines appear as continuously moving across the chart, they actually indicate the specific price of an asset at a specific time. This means that support and resistance levels are being created each time the underlying price changes. For example, let’s say your asset has a support price of 72.49 and a resistance of 74.53. Then suddenly, there’s an uptrend with the price going up to 80.04 before dropping to 76.33. Typically, 80.04 will become your new resistance while 76.33 will become your new support level. To set up your Bollinger chart, it’s important that you be able to distinguish between all three lines. 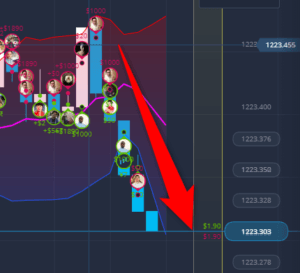 To do this, click on the indicators’ icon at the top of your trading account. 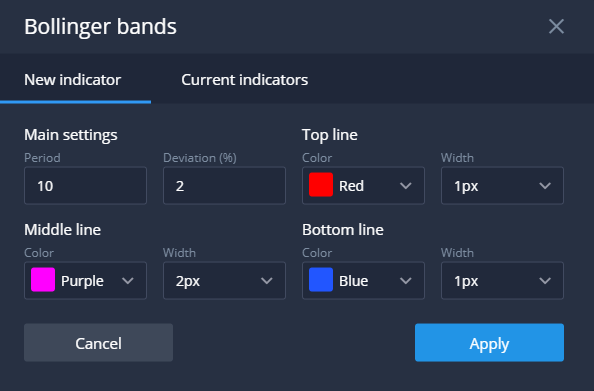 Select Bollinger bands under the new indicator’ tab. Customize the Bollinger chart lines look by changing their color and width before clicking apply’. resistance and support) can tell you the prevailing market conditions. For example, if the band remains narrow for an extended period, the price trend is weak and the market hasn’t created a useful trend. If the Bollinger band width suddenly starts becoming wider, it’s an indicator of the creation of a new trend. The markets are unstable and you should start preparing to enter into position. remain here for a short amount of time (when markets are volatile) and then gradually drop towards its initial price. The opposite scenario can also occur. This is where the price drops below the support level for a moment before gradually rising back. When either scenario occurs, you should enter into a buy or sell position. However, in ultra volatile markets, you might find that price movements aren’t so predictable. An uptrend might remain in that direction for an extended time before the prices finally stabilize. Then, after some time, the prices might fall sharply. In such cases, you’ll find that new support and resistance levels are created at price points far above or below the initial resistance and support levels. price moves towards the initial position. the resistance (in uptrend) and below the support (in downtrend). This way, I know that I’ll have exited my trade before the markets finally stabilize. Bollinger bands are a powerful indicator. But understanding how they work might take some time. Hopefully, this guide has gotten you excited about this indicator to try it out.